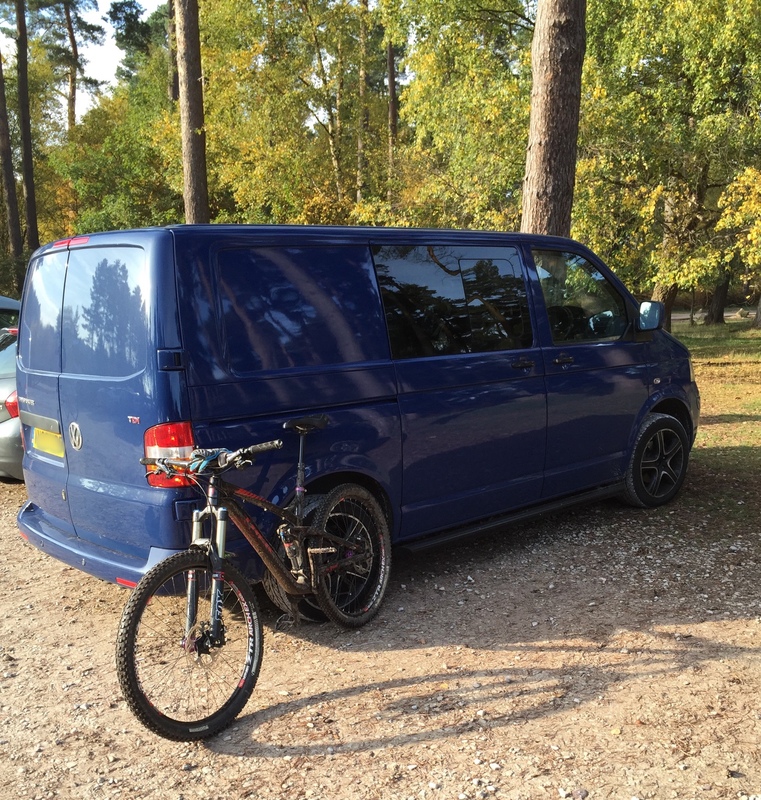 Due to a variety of reasons I haven’t ridden my mountain bike since the TrailTakeover on 4th October. I decided that today was the day that I should do something about that. 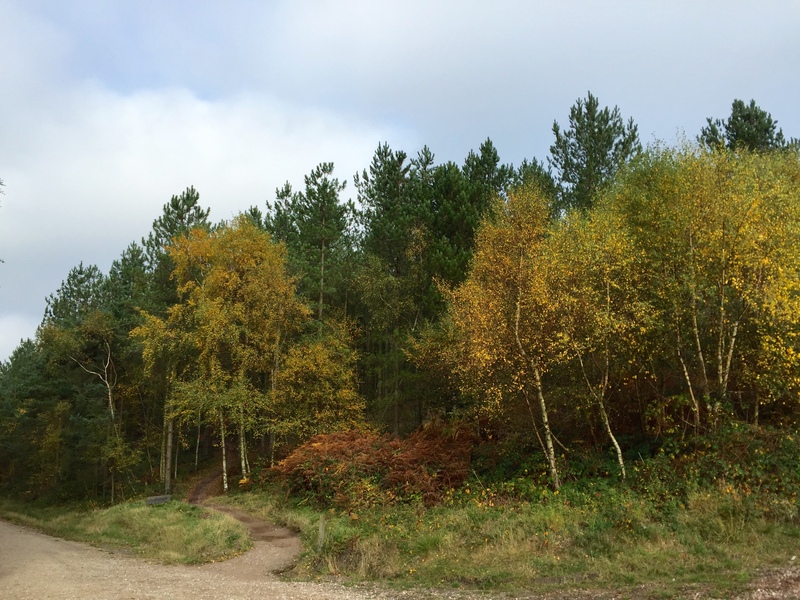 As the weather has been very October-ish (ie raining) I thought it best to go to the trail centre at Cannock, as it’s the closest place that has an almost all-weather surface. 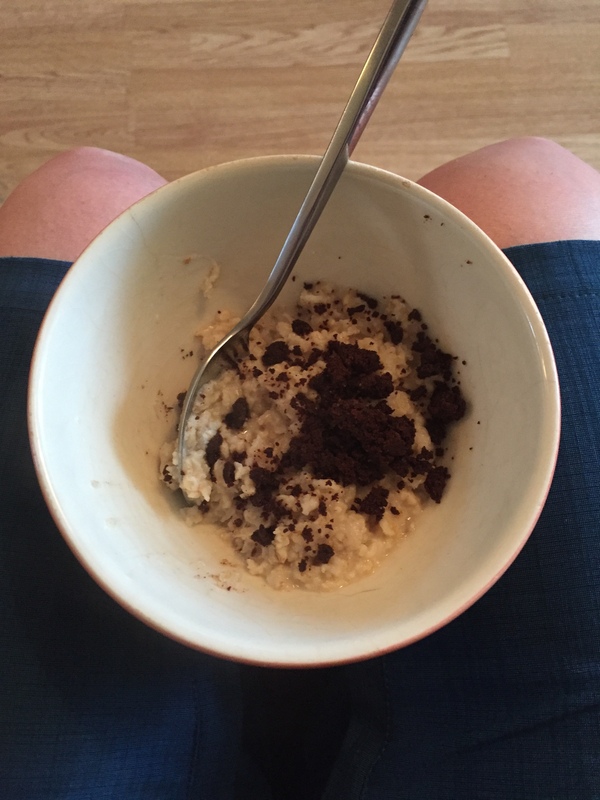 So I kitted up, loaded the van, had porridge with brownie crumbled on top (a genius idea, even if I do say so myself) and headed off. Within about 3 minutes I remembered how slippy the pebbles in the trail can be when a bit of water has been added to them. So it turned into me basically teetering around trying not to do a Bambi on ice impression. Also the last time I was at Cannock on my own I clipped a tree and skidded along the floor which resulted in 2 stitches in my knee, and a very impressive scar on my elbow/forearm, so I’m now very wary of doing anything silly. This has lead to me not being able to ride between some trees on the trail because the gap doesn’t seem big enough. This is annoying. I think I’m going to have to go back another day and session the bits that freak me out the most. Generally it was a great ride, although it highlighted the fact that I’m not MTB-fit at all, but I did manage to clean 2 of the climbs which I always seem to struggle on. So that was nice! 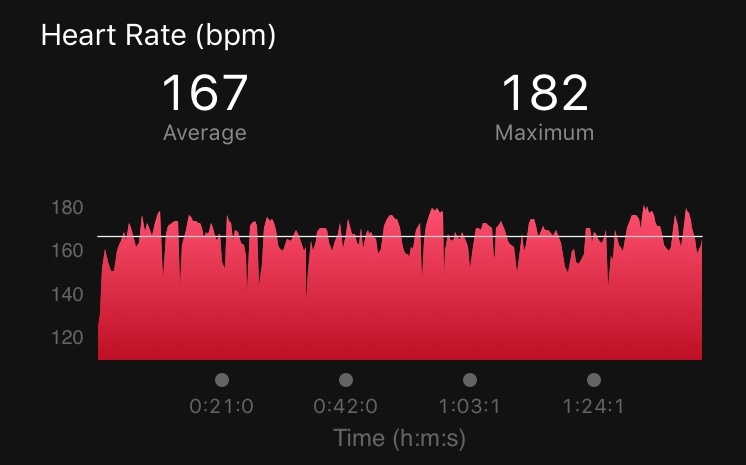 I’ve added a pic of my heart rate stats – this is normal for me, despite having a relatively low resting hear rate! Whenever I stop for a breather at trail centres I’m always annoyed by the litter I can see lying around, today I decided to do something about it – every time I stopped I picked up what others had left behind. I don’t understand why people seem unable to put rubbish back in their bags/pockets and take it away with them. I know someone on twitter who runs the #2MinuteBeachClean so I decided to do a #2MinuteTrailClean! 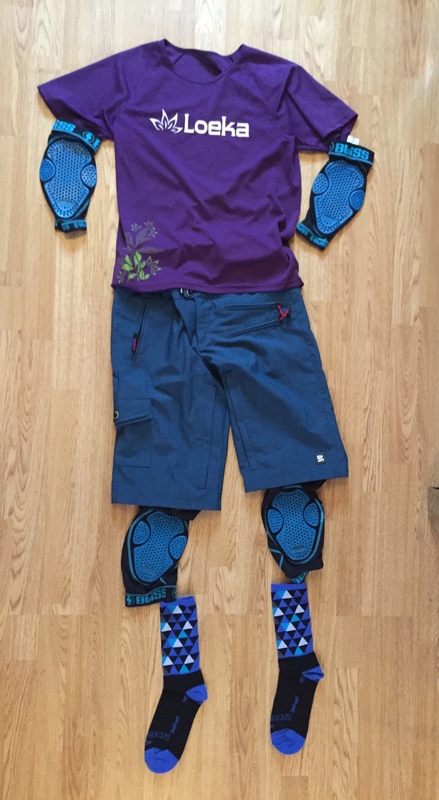 Not pictured: Old Icebreaker vest base layer, Shock Absorber Multi Sports Support Bra.